Be Known for Something : Discover Your Church Communication Thread / Brand Strategy / Should A Pastor Have a Personal Brand? This past year a birthday introduced my second half century to me. It’s a sobering and necessary time of introspection. I want to use my life effectively and strategically for Christ. Every day I look in the mirror and realize I don’t have a lot of time to do what God called me to. The Bible (James 1:22-24) talks about the craziness of looking in a mirror and forgetting what you look like after you walk away. James equates this to the stupidity of internalizing Biblical advice and then not practicing it when you put the Bible down. It’s like discovering what God has taught you and then not using it in order to be the “go-to” person for others who need that Biblical direction. We’re all known for something. Those who rely on you know what you have to offer them. For example, if you’re a wealth of technical knowledge, people will need you when they have computer problems. You become known for the solutions you offer. Therefore, that collection of solutions becomes your personal brand. The more unique those benefits are, the more people will seek you out. Everyone wants to have followers and a clear influence in their world. Personal brand recognition is the easiest way to do that. As spiritual tutors and mentors, a Pastor’s branding becomes critical to reaching his world for Christ. Why? Because there are people who are looking for what you’re known for. If you communicate your brand well, God will use your personal brand to attract them and point them to Him (like Paul, John, James, etc. did). What are the 3 steps to establishing a great personal brand? Investigate consistencies in your life that others notice, mention, and like about you. Often the easiest way to do this? Ask! Or get others to ask for you. 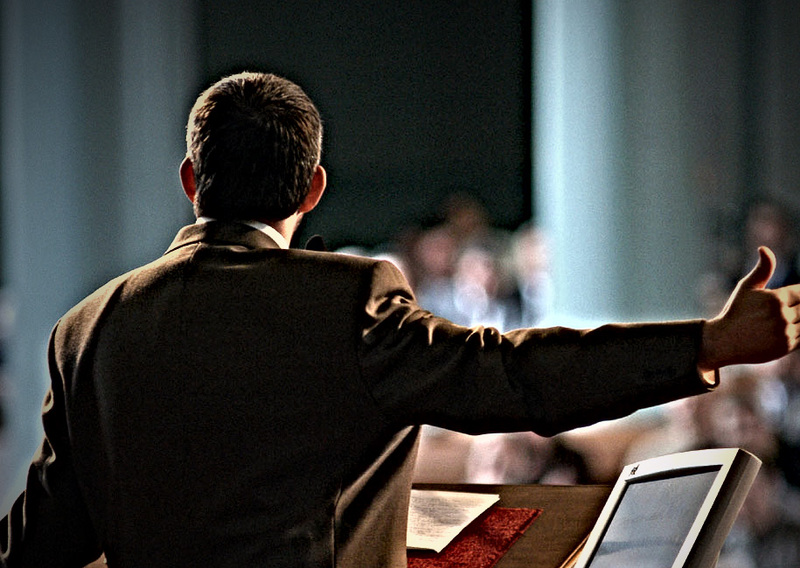 Make a list of themes that regularly reoccur as you preach and teach. Weigh whether others will be attracted to those consistencies. Course-correct if necessary. Hone your message and focus it into one thing that you want to be known for (from your list). It MUST be easy connected to the saving grace of Christ. Control all the things possible so that you reinforce your benefits and how others will remember you. Like key benefits and their associated keywords. Social media names and website URLs need to be controlled to communicate a consistent name, benefit, look, and message. The more you control, the stronger the personal brand recognition. One caveat: a bad decision or choice can quickly destroy an entire life’s brand. Christ can help you course-correct while you re-establish your brand but it could take years. This is a warning for good decisions and accountability!